Phoenix is outpacing Silicon Valley when it comes to high-tech job growth, according to a new report. Commercial real-estate firm CBRE released a report on job trends it has seen based on companies looking to rent office space in the Valley. 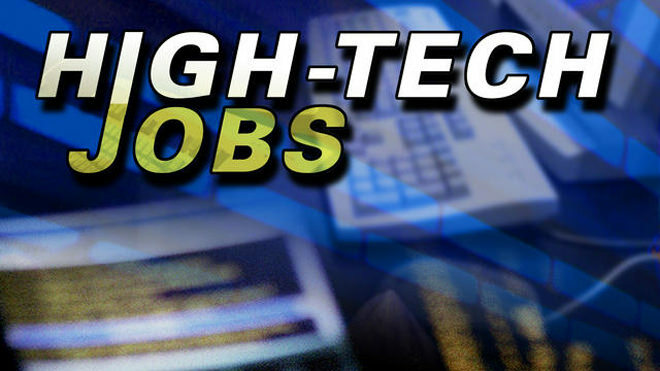 The report shows 12,662 high-tech jobs came to the Valley between 2012 and 2014. The 42.7 percent bump in the high-tech industry puts Phoenix ahead of Silicon Valley, which saw an increase of just 27 percent. Over the same time period, Phoenix added more overall tech jobs than Chicago, Austin, Boston, Los Angeles and Dallas. CBRE Senior Vice President Kevin Calihan said several tech companies are moving away from San Francisco. The cost of living there is nearly double what it is in Phoenix, and office space rent is nearly four times as high. Although Phoenix real-estate costs have gone up, they’re not increasing at the same rate as other markets. Calihan said the savings and the Phoenix talent pool are attracting more tech companies. “Companies that aren’t in Phoenix yet and are looking regionally for places to grow and hire people are selecting Phoenix at a really high rate,” he said. Calihan also says tech companies already established in the Valley are expanding and growing, adding more jobs to the industry. Anthony Kennada, the vice president of marketing at Gainsight, a customer success company based in San Francisco, is now hiring here in Phoenix. He says the allure of Phoenix to tech companies in Silicon Valley is a history of tech-related companies succeeding in Phoenix. Calihan agrees, saying companies based in other markets have expanded in metro Phoenix.